Boris Grigorovitsch Khersonsky was born in 1950 in Chernivtsi, Ukraine and studied medicine in Ivano-Frankivsk and Odessa. He initially worked as a neurologist, before becoming a psychologist and psychiatrist at the state hospital in Odessa. In 1996 Khersonsky took on an appointment at the department of psychology at Odessa National University, before becoming chair of the department of clinical psychology in 1999. In addition to writing scientific articles on topics such as depth psychology and the use of psychoprophylaxis in family conflicts, Khersonsky also continued a family literary tradition begun by his grandfather, a pediatric neurologist who wrote satirical verse under the pseudonym »Ro«, and continued by his father Grigorij Khersonsky, who published books of poetry in 1949 and 2004. Boris Khersonsky published his first poems while still at university. Before and during perestroika he was part of the Samizdat movement, which disseminated alternative, nonconformist literature through unofficial channels. His works were published both in Odessa’s municipal press and occasionally abroad in literary journals and anthologies. Khersonsky’s formal literary debut came in 1993 with »Vos’ma častka« (tr: The Eighth Part). Four years later he published his »Semejnyj Archiv«, a story in poetic form that also appeared in German in 2010 as »Familienarchiv« (Eng. »Family Archive« 2006). The author tells the story of a Russian-Jewish family against the backdrop of the tragedies of the 20th century. A critique in the magazine »Falter« compared Khersonsky’s work with the verse novel »Eugen Onegin« (1825) by the Russian writer Alexander Puschkin because of their shared language and outstanding artistic quality: »The unrhymed verses sometimes go into the smallest detail of everyday life, then widen to philosophical reflections of aphoristic brevity.« The influence of Khersonsky’s work as a psychologist is evident not only in his clear, poetic diagnoses, but also in his primary focus on people. Numerous other publications were followed by the 2014 volume of poetry »Missa in tempore belli/Messa vo vremena vojny« (tr: Mass in Times of War) in which Khersonsky dealt with his impressions of the violently ending Maidan revolution and its war-like continuation. It was followed a year later by »Otkrytyj dnevnyk«, a »public diary« about the Ukraine crisis that pays particular attention to Odessa. 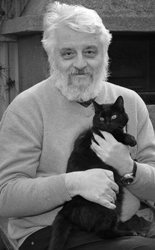 His literary work has won Khersonsky much recognition, including being named laureate of the Kievskie lavry Poetry Festival (2008) and being awarded the Jury Special Prize at the Literaris Festival for East European Literature (2010). The author lives in Odessa.